Beats has recruited some of the most famous faces in football to promote its new Solo2 on-ear headphones ahead of the World Cup in Brazil. 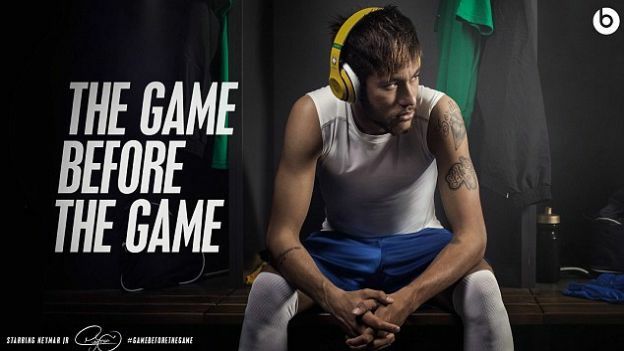 Beats Electronics has enlisted the help of footballing stars to promote its new Solo2 on-ear headphones in an advert titled 'The Game Before the Game'. Neymar's father da Silva Sr and sister Rafaella Beckran make cameo appearances too, alongside LeBron James, Lil Wayne, Nicki Minaj, Rio Ferdinand, Serena Williams, Sydney Leroux, Stuart Scott and Thierry Henry. The five minute advert is to promote the company's new Beats Solo2 headphones, which is said to feature improved bass and enhanced clarity. The newest entry to the Solo range will come in black, white, red, blue, grey and pink colour variants. Beats are charging £169.95 for a pair in the UK and $199.95 in the US. You can check out 'The Game Before the Game' below.